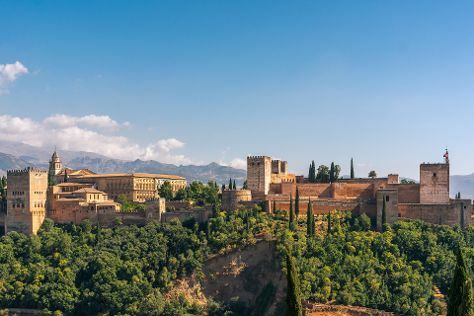 On the 21st (Tue), contemplate in the serene atmosphere at Cathedral and Royal Chapel (Capilla Real), then admire the striking features of Generalife, and then admire the striking features of Alhambra. 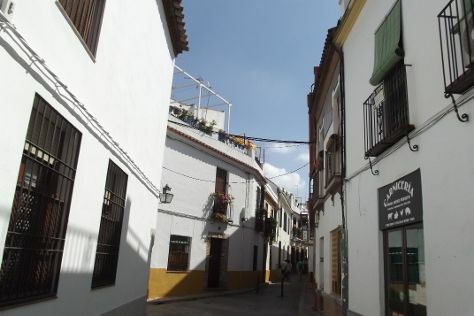 Get ready for a full day of sightseeing on the 22nd (Wed): wander the streets of Sacromonte, then relax and rejuvenate at some of the top local wellness centers, then appreciate the extensive heritage of Albayzin, and finally steep yourself in history at Mirador de San Nicolas. To see other places to visit, ratings, maps, and more tourist information, you can read our Granada trip itinerary planner. New York City, USA to Granada is an approximately 18-hour flight. The time zone difference moving from Eastern Standard Time (EST) to Central European Time (CET) is 6 hours. Expect a bit warmer temperatures when traveling from New York City in March; daily highs in Granada reach 62°F and lows reach 41°F. Wrap up your sightseeing on the 23rd (Thu) to allow time to drive to Seville. Kick off your visit on the 23rd (Thu): admire the natural beauty at Royal Alcázar of Seville, then take a stroll through Triana, and then admire the striking features of Plaza de Espana. Here are some ideas for day two: admire the striking features of Seville Cathedral (Catedral de Sevilla), take a stroll through Barrio Santa Cruz, then admire the landmark architecture of Casa de Pilatos, and finally see the interesting displays at Museo del Baile Flamenco. For reviews, maps, ratings, and tourist information, you can read our Seville tour planner. Getting from Granada to Seville by car takes about 3 hours. Other options: take a bus; or take a train. In March, daily temperatures in Seville can reach 66°F, while at night they dip to 45°F. Wrap up your sightseeing on the 25th (Sat) early enough to take a train to Cordoba. Kick off your visit on the 25th (Sat): take in the architecture and atmosphere at Capilla Mudejar de San Bartolome, then wander the streets of Jewish Quarter (Juderia), then get engrossed in the history at Archaeological Ensemble of Madinat Al-Zahra, and finally take an in-depth tour of Palacio de Viana. Get ready for a full day of sightseeing on the next day: admire the striking features of Museo Mezquita Catedral de Córdoba, delve into the distant past at Roman Bridge, make a trip to Patios de Cordoba, then make a trip to Historic Centre of Cordoba, and finally get to know the fascinating history of Calleja de las Flores. For more things to do, maps, and other tourist information, go to the Cordoba vacation trip planner. You can take a train from Seville to Cordoba in an hour. Other options are to drive; or take a bus. In March, plan for daily highs up to 67°F, and evening lows to 45°F. Finish your sightseeing early on the 27th (Mon) to allow enough time to take a train to Malaga. Start off your visit on the 27th (Mon): test your team's savvy at popular escape rooms, then wander the streets of Los Boliches, then take a stroll through Benalmadena Pueblo (The Old Village), and finally wander the streets of La Carihuela. To find where to stay, ratings, maps, and tourist information, read our Malaga itinerary maker. Getting from Cordoba to Malaga by train takes about an hour. Other options: drive; or take a bus. 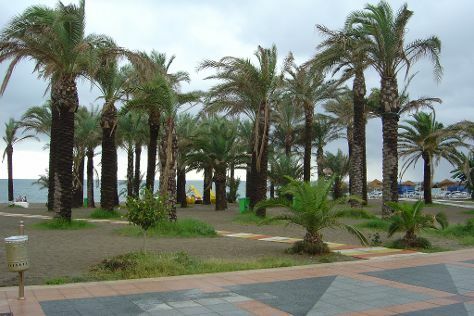 In March, daytime highs in Malaga are 66°F, while nighttime lows are 50°F. Wrap up your sightseeing by early afternoon on the 28th (Tue) to allow time for travel back home.